We examine the geography of cotton textiles in Britain in 1838 to test claims about why the industry came to be so heavily concentrated in Lancashire. Our analysis considers both first and second nature aspects of geography including the availability of water power, humidity, coal prices, market access and sunk costs. We show that some of these characteristics have substantial explanatory power. Moreover, we exploit the change from water to steam power to show that the persistent effect of first nature characteristics on industry location can be explained by a combination of sunk costs and agglomeration effects. This paper was distributed by NEP-HIS on 2013-09-13. 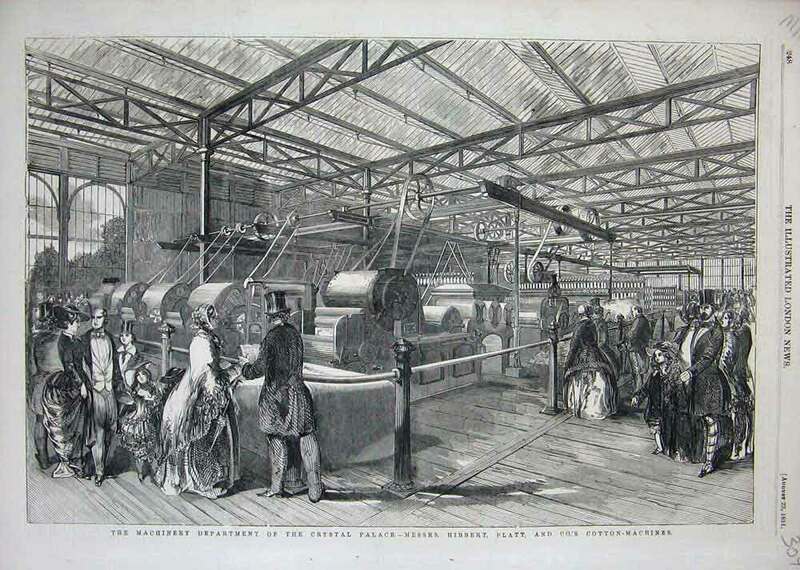 Nick Crafts and Nikolaus Wolf, who have both provided significant contributions to the literature on industrial location, engage here in the analysis of the UK cotton textile industry. In particular cotton production during the Industrial Revolution was heavily concentrated in Lancashire, the region just north of Manchester. Moreover, this concentration persisted over the 19th century. The two authors are therefore interested in explaining both the original concentration and its persistence throughout time. The paper presents a solid statistical work. The dataset comprises 1823 cotton mills and covers 148 locations in all of the UK. To explain the employment in textiles across these locations, the authors use information on coal prices, geography, climate and access to markets. All these measures are specific to each location and region fixed effects are included to avoid the omitted variable bias. Firms are assumed to be profit maximizers in their location decisions. The factors that influence the location decisions are considered into two broad groups: the “first nature” characteristics, which are considered exogenous to earlier location choices (i.e. climate) and the “second nature” characteristics which are endogenous (i.e. access to markets). Crafts and Wolf separate these two elements because they are interested in identifying the case of location choices that eventually modify the characteristic of the location itself (in particular market access). They reckon that access to market can be so important that the cotton industry remained in a location in spite of higher variable costs because these were outweighed by better access to markets. Another way in which past choices can affect current choices is through sunk costs: once an investment in energy production was made in one location, it could hardly be moved to another location. However, it could often be adapted to new technology. The example provided is the switch from water to steam power, during which waterwheels were adapted to steam. This allowed some location that at that point did not have a fist nature advantage, to maintain their industries through path dependence. Hibert, Platt & Son’s cotton machines. Illustrated London News, 23 August 1851. On the empirical side, the paper uses a Poisson model to estimate the expected number of cotton mills and employed persons for each location as a function of the characteristics of the locations. The main findings are that water power production and number of patents registered increase the likelihood of location; coal prices had a surprisingly weak effect; agglomeration forces had a positive effect on the number of persons employed but a negative effect of the average size of the mills, suggesting that cotton industry was organized in a network of small specialized mills. This is confirmed by anecdotal evidence on Lancashire’s cotton industry. The authors also provide several robustness checks on their data to support their claims. The paper then moves on to discussing why Lancashire achieved such a high concentration of cotton industries. The two authors explain that the high concentration was the result of a combination of first and second nature geography. To prove this statistically, Crafts and Wolf perform a counterfactual analysis in which they replace each characteristic with the average value of the UK and then impose a 10% change in the variables to compare their effect individually. Doing so, they come up with a “conversion table” that tells us what variation of the x variable is needed to offset a 10% variation of the y variable. The main results are that the location choices were driven both by first nature characteristics such as water power and second nature characteristics such as market access. The persistence of the location is liked to sunk costs and agglomeration economies, which allow some regions to maintain their industries in spite of the original advantage being vanished. An image of the Lewis Textile Museum in Blackburn, Lancashire. To conclude, the contributions of this paper are several. 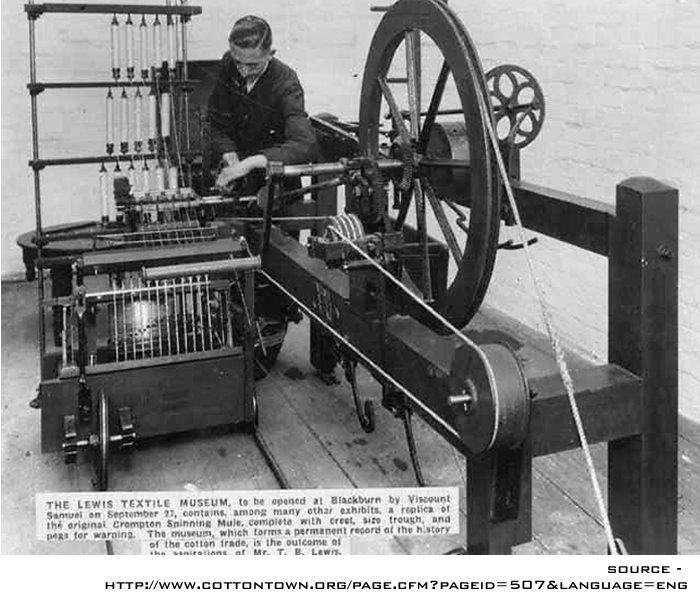 First, it makes for the first time use of statistical techniques to explain the location of cotton industries, which were crucial during the British Industrial revolution. Doing so, it contributes to the wider debate about the determinants of the location of industries in general, proposing a methodology based on counterfactuals which allows to compare the relative strenghts of the different factors. Finally, the paper adresses the always ‘hot issue’ of path dependency in location choices, which is faced by any researcher in this particular field. The next step in the research, to which we look forward, will be to estimate the model as a panel in order to cast more light on the persistence of location through time. This entry was posted in Economic Geography and tagged British Industrial revolution, Economic geography, Industrial Location, market access, Textile industry, water power on 2013-10-28 by missiaia.